The Institute for Computational Linguistics “A. 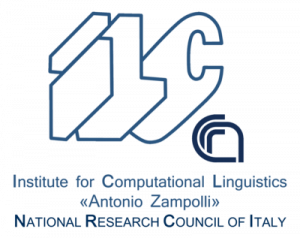 Zampolli” (CNR-ILC) is a centre of reference in the field of Computational Linguistics at both national and international levels. The institute carries out research activities in strategic scientific areas of the discipline, as well as publishing activities, training and education activities and technology transfer. 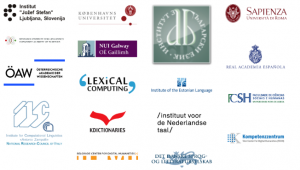 The research carried out within each area is highly interdisciplinary and involves different professional skills and expertise extending across several disciplines, including Linguistics, Computational Linguistics, and the Digital Humanities. Monica Monachini (PhD) is a senior researcher. She leads the Language Resources and Infrastructure group (LaRI) at CNR-ILC. Her main research interests include: Computational Lexicography and Lexicology; Lexical Semantics; Lexicons; Terminologies; Standards; Metadata; Infrastructural issues related to Language Resources. She has published over 150 articles in journals, books and conferences at an international level; organized several scientific events and participated in several international and national projects. She represents CNR in UNI Committees devoted to Terminology and is an expert delegate in ISO TC37 SC4 Committees for Language Resources Management. She has been nominated by MIUR as National Coordinator of the CLARIN-ERIC Infrastructure for Italy, CLARIN-IT. Paola Baroni is a Technologist at CNR-ILC. She has expertise in: project planning and management; Web design, development and management; dissemination in the framework of projects and infrastructures relating to standards, language resources and lexicography. Since 1998 she has been involved in a large number of national and international research projects (including the CLARIN preparatory phase project), committees (ISO/TC 37, UNI/CT 014), working groups (ISO/TC 37/SC 4/WG 4, UNI/CT 014/GL 04), initiatives and infrastructures (including CLARIN-IT). Since 2005, she has acted as an interface between UNI and ISO for voting ISO documents pertaining to Lexical Resources and Terminology. Since 2015 she has been in charge of the CLARIN-IT membership procedures and of Web, communication, promotion and dissemination activities within CLARIN-IT and ILC4CLARIN. Fahad Khan is a post-doctoral fellow at CNR-ILC. He has a BSc (Hons) from the University of Glasgow, a MSc from the University of Manchester and a PhD in Computer Science from the University of Nottingham. His current research interests include ontologies, language resources, computational lexicography, linked data and the digital humanities. His interests within the project include, in particular, the use and definition of standards for accessing computational lexicographic resources. Claudia Soria is a Researcher at CNR-ILC. She has a background in Computational Linguistics, with a focus on language resources in their entire life-cycle, from creation to representation to evaluation. She is one of the authors of LMF (Lexical Markup Framework), an ISO standard for the representation of computational lexicons. Her current research interests revolve around the use of language technology for the protection and valorization of linguistic diversity. Other current interests are the use and usability of regional/minority languages on digital media, the creation of lexico-conceptual resources for archiving traditional knowledge and the development of language resources and tools for minority languages. She regularly organizes events for this particular sector and is member of various initiatives and organisations that act to provide digital and technological support to minority languages.